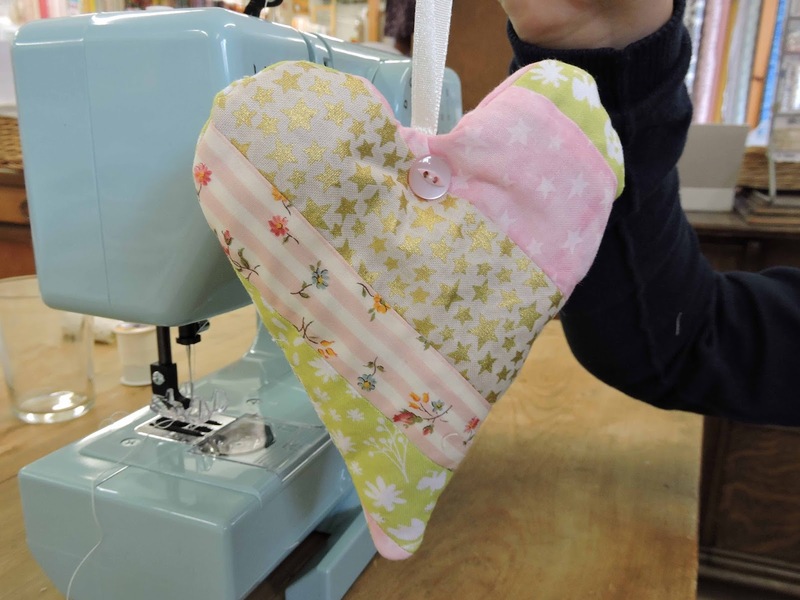 I spent many delightful hours this summer helping junior stitchers master sewing machines and make 'stitch & flip' lavender hearts. They are a fun half day project for stitchers of all ages and make very economical gifts, especially if you have your own supply of lavender. 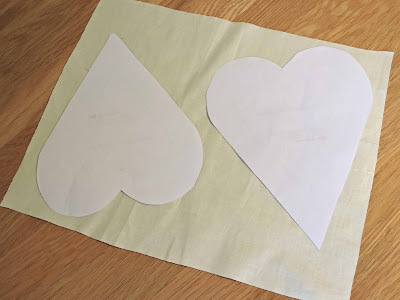 Your starting point is to print off two copies of this template onto A4 paper and cut out the heart shape. Next get yourself a piece of calico or curtain lining that is large enough for the two heart templates to be placed at a slight angle - this will be approximately 35cm x 25cm. The point of being able to angle the hearts will become clearer a bit further down these instructions. 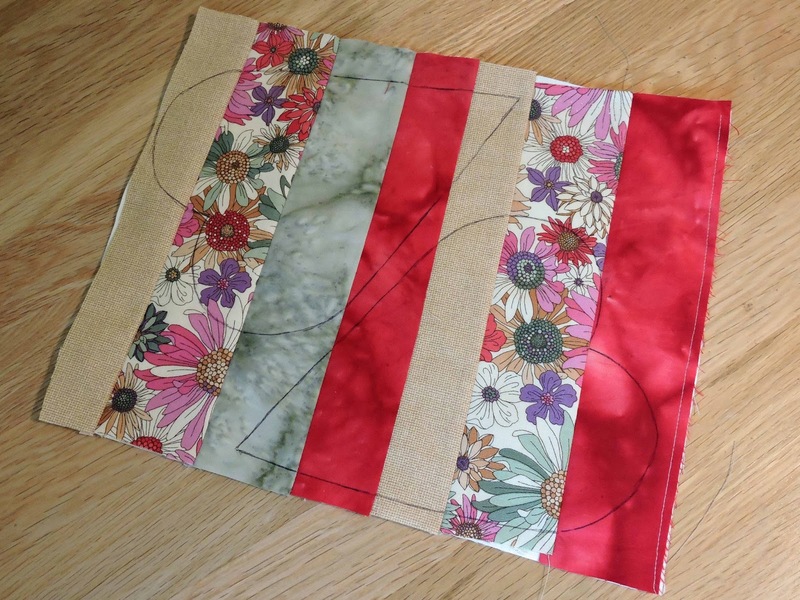 Then cut yourself fabric strips around 25cm in length and somewhere between 2cm and 5cm in width - it's good to have them different widths. 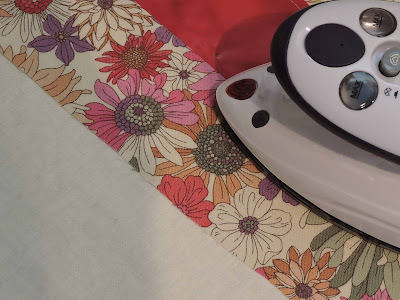 Next place one of the strips across the short width of the fabric and machine stitch a line of stitch at the top to secure. 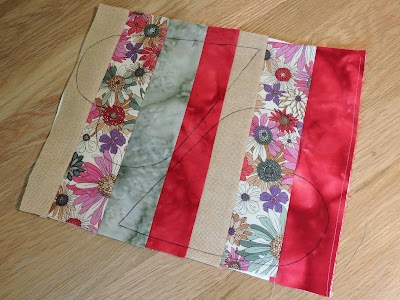 Now select a 2nd strip of fabric and place face down on the first, matching up raw edges - away from the calico raw edge. 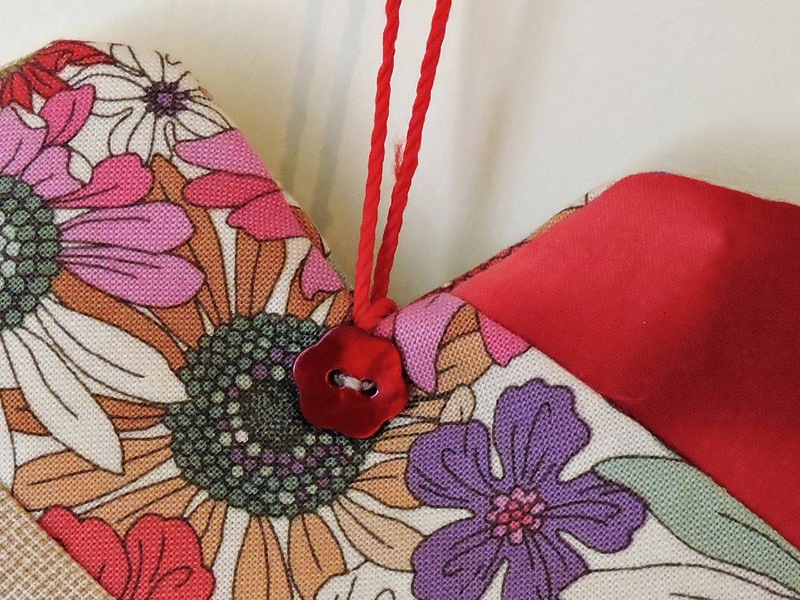 Secure with a few pins at right angles and then machine stitch about 5mm from the raw edges through all three layers of fabric. 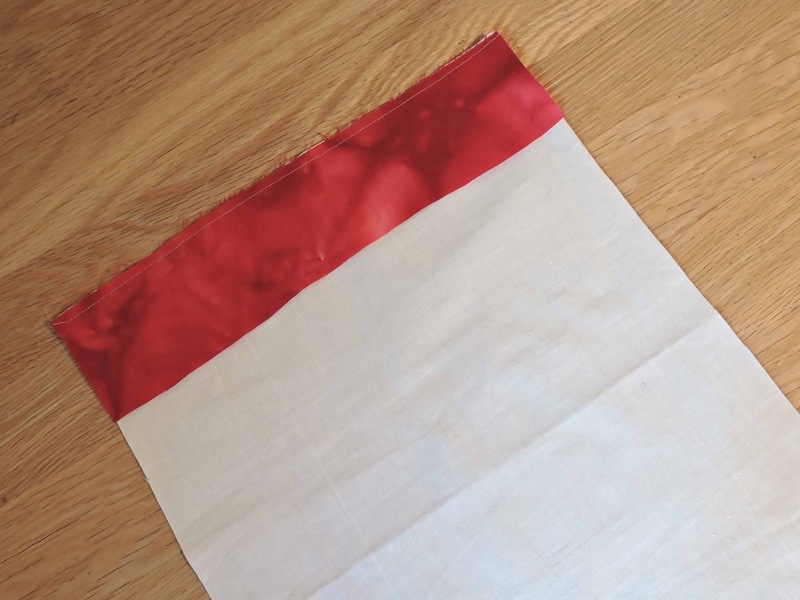 Now fold the 2nd fabric strip over right sides up and press the seam open. Continue adding strips of fabric in this way until all of the calico is covered - don't worry if you go over any of the calico sides. Then position your heart templates on your created fabric, trying to avoid tiny bits of fabric at any point under your heart shape. Now draw around the templates with marker. 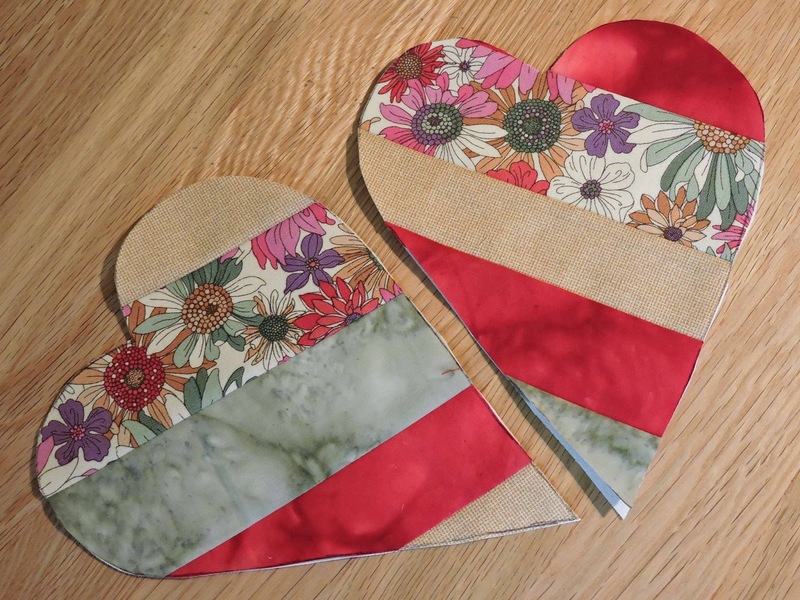 Cut our your heart shapes with a pair of sharp scissors - cutting over the seams may take a bit more leverage. 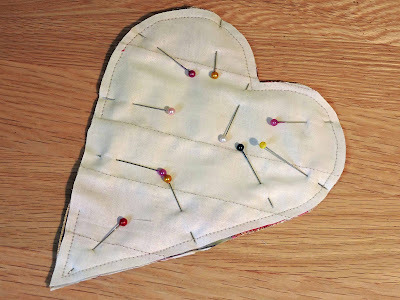 Place the cut out hearts right sides together and pin all the way round. Stitch all around the edge about 5mm from the raw edges, leaving an opening on one side towards the bottom of the heart - this is the easiest place to fill the heart. Next clip all around the curves edges of the heart, being careful not to cut into the seam. Also cut of the point at the bottom of the heart. 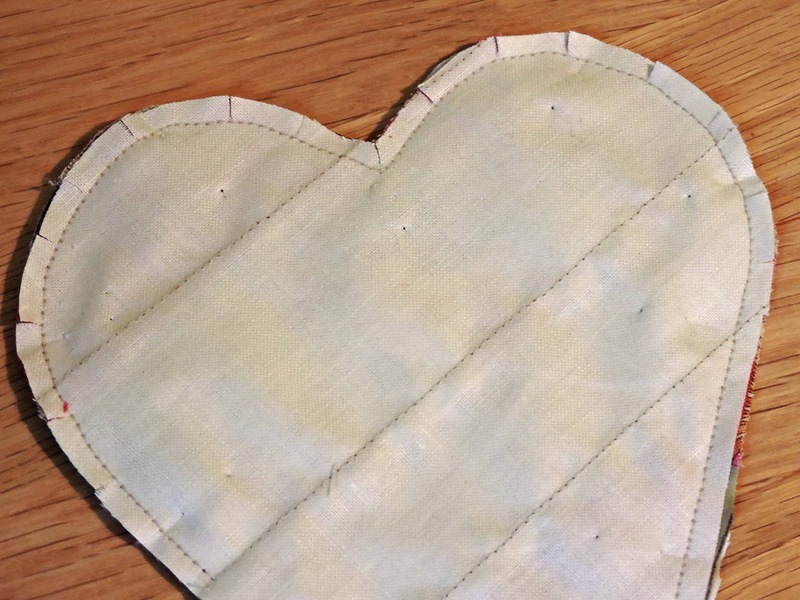 Turn the heart right sides out through the opening, pushing out the seams. I find using a teaspoon is best to fill the heart with lavender - with a plate beneath for the inevitable spillages! 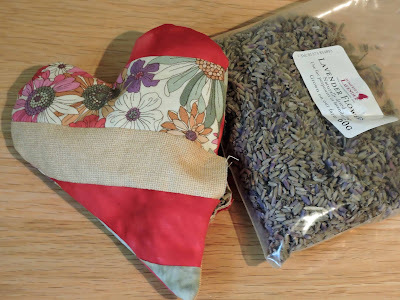 If you're short on lavender then mix with a bit of toy stuffing to pad out. 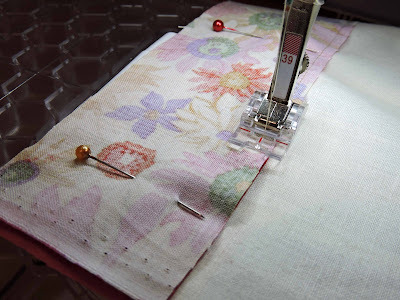 Use a small neat 'blind stitch' to close the opening. 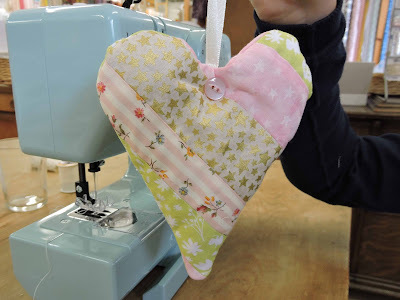 Also sew a button on either side at the top of the heart and tie a hanging cord around the buttons. 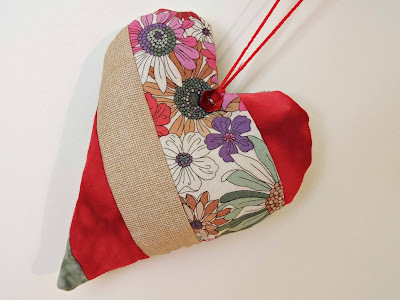 One lavender heart now complete - within an hour and half at a leisurely pace. This project is great for using up small pieces of fabric and the 'stitch & flip' technique can be used for all kinds of projects, so it's well worth mastering. 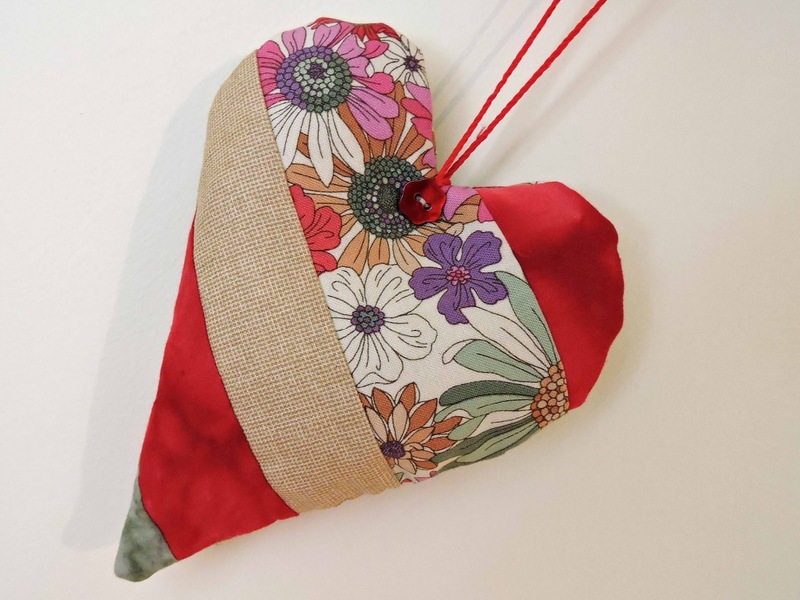 Plus these lavender hearts makes are perfect for anyone trying to get ahead on gift making for that time of year that I'm personally a long way off thinking about!